Custom built home on OVER 40+ ACRES IN COLONIAL HEIGHTS. Ideal for the outdoor enthusiast! 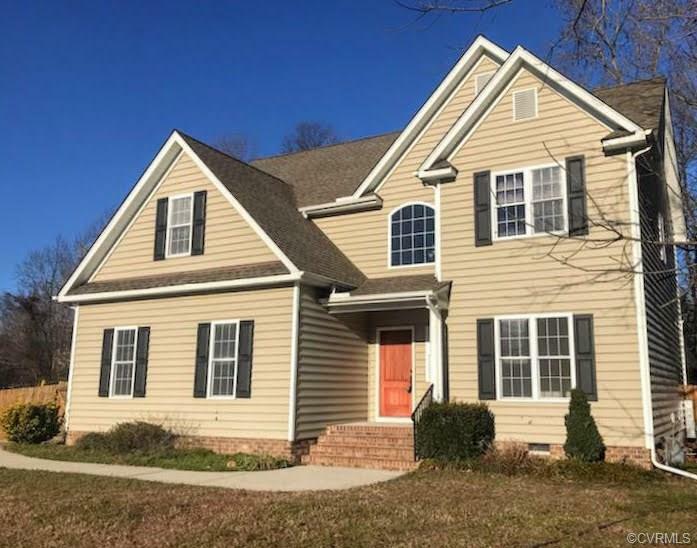 Enjoy hunting, fishing, and kayaking on Swift Creek --with the convenience of a Colonial Heights address! The possibilities are truly endless! First offering of this beautiful 4 bedroom custom home with upgrades GALORE including craftsman style trim package, niche, transom, granite counters, stainless steel appliances, tile backsplash, pendant lighting, undermount sink, kitchen island, Rinnai tankless hot water heater, gas fireplace, living room with water view, wired for surround sound, screened porch overlooking the water with ceiling fan, epoxy garage floor, and a partially fenced back yard. Master Suite featuring his and hers closets, dedicated laundry chute, sitting area, garden tub with water view, walk-in shower, and dual vanities. Fresh paint makes this home turn key and ready for YOU! DO NOT BLINK! THIS OPPORTUNITY WILL NOT LAST! Directions: From I-95 S, Take Temple Ave Exit (54). Turn Right Onto Temple Ave. Left On Conduit. Left On Ellerslie. Right On dunlop Farms Blvd. Right On Bluffs Dr. Left On Bluffs Ter. House On Right.